Often, social entrepreneurs get carried away by the many tasks to be completed and forget an important piece – social media! “Well, after all, who cares about social media when I have to be in the field making things work,” they say. Social media, when used right, can help create a strong presence for your personal brand, as well as that of your enterprise. Social innovators and entrepreneurs must make a conscious effort to invest time into developing an effective social media strategy. LinkedIn has been very instrumental to our work at Developers In Vogue so far. I have always loved LinkedIn and I believe it is one of the best social media platforms ever. One thing I have always focused on is having an all-star LinkedIn profile. Use a professional profile picture. No selfies please! No pictures with your cute dog! Always great to have a background cover photo. Ideally, this can be a group photo of beneficiaries of your social enterprise or team members. Also show pictures of your work on your profile page. It is always a good idea to post pictures of your initiative as people can connect more with what you stand for. Tell a compelling story about yourself and your initiative in the summary section of your profile. My personal LinkedIn, for example, tells a story about my social enterprise, giving the reader a general overview of my life purpose. Change the traditional LinkedIn URL to your own customized URL. This looks more professional. Add a LinkedIn badge to your website, blog or email signature. I have realized that 6 out of 10 new people I send emails to click on the LinkedIn badge in my email signature and send me LinkedIn requests. Post a status update at least once a week. This helps you to showcase your work to your network and also establish yourself as an expert in your field. Also make timely posts of your work on your organization’s LinkedIn page. Ask for endorsements and recommendations from people who can vouch for your expertise. 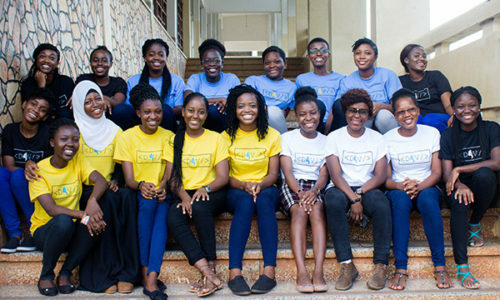 In the early days of starting our social enterprise, Developers In Vogue, we were struggling to find a venue where we would train young ladies in Ghana. In January of this year, I got a LinkedIn direct message from one of the senior executives of a leading private college in Ghana. His message stated that he had stumbled upon my LinkedIn profile and loved it. He then mentioned that he would like to support the work I am doing. Fast forward to few months after, and we are using Blue Crest College as the venue for our boot camp – all for free. When it was time to recruit volunteer tutors for our training programme, I reached out to Ghanaian software engineers on LinkedIn and 25 of them are currently volunteering with us. This is the power of LinkedIn! In my opinion, LinkedIn is a powerful tool for scaling social innovations in Africa. Inasmuch as its potential is limitless, social entrepreneurs must always show professionalism in all their interactions on LinkedIn. 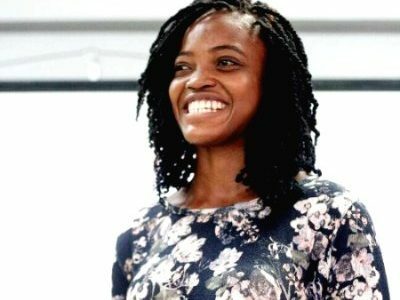 My social enterprise – Developers In Vogue – aims at creating a relevant community of highly skilled female developers who would use technology to revolutionize Africa and beyond. We train young ladies in web and mobile apps development and data science (big data, machine learning and artificial intelligence) and match them to real-time projects and jobs. Due to my entrepreneurial drive as well, I have been able to partner with some great minds to start businesses. Areas that interest me the most aside Education are Technology, Agriculture, Food and Drinks and Fashion. Want more tips and advice from daring young social innovators?